Housed in the American University of Beirut’s English Department, RR is edited and designed by a staff of faculty, students, and alum from both the Faculty of Arts and Sciences and Department of Architecture and Design — a truly interdisciplinary endeavor. Our staff has diverse artistic and philosophical tastes, but a unifying factor at Rusted Radishes is the drive to seek out the highest quality work. Please drop us a line if you have specific inquiries for our editors. Rima Rantisi is a faculty member in the Department of English at the American University of Beirut and founding editor of Rusted Radishes. 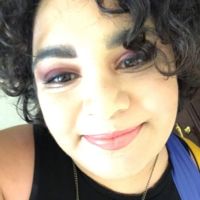 Her essays can be found in the anthology Arab Women Voice New Realities, Assay: A Journal of Nonfiction Studies, and Sweet: A Literary Confection. She holds an MFA in Creative Nonfiction from the Vermont College of Fine Arts. 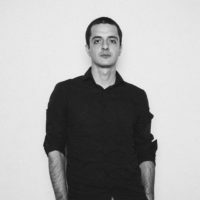 Ahmad Gharbieh is Assistant Professor in the graphic design program at the Department of Architecture and Design, American University of Beirut (AUB). He holds a Bachelor of Graphic Design from AUB and an MA in Photography and Urban Cultures from Goldsmiths College, University of London. 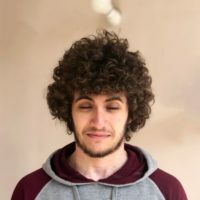 His scholarly work explores governmental visual identities, information design, and mapping as a method of researching, representing and analyzing socio-spatial phenomena. 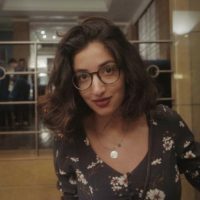 Milia Ayache is a Beirut-based actor, writer, and Linux enthusiast. She recently appeared as the lead performer in Angelmakers: Song for female Serial Killers. Her writing has appeared in American Theatre Magazine as well as the book Stages of Resistance: Theatre and Politics in Capitalocene (NoPassport Press). 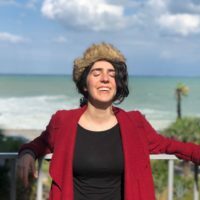 Milia teaches playwriting and creative writing at The American University of Beirut and holds an MFA from The American Repertory Theatre/Moscow Art Theatre Institute for Advanced Theatre Training at Harvard University. 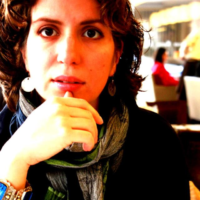 Rana Issa is Assistant professor of Translation Studies at the American University of Beirut. She obtained her Ph.D at the University of Oslo. 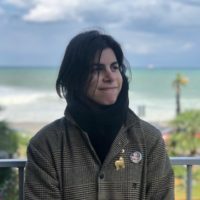 She has published historical studies about the Bible, Arabic lexicography, Ahmad Faris al-Shidyaq, and is currently working on translation in contemporary Syrian literature and film. She has translated theory and literature between Arabic, English, and Norwegian. Rana debuted as a poetry translator with Rusted Radishes. She is a proud Beiruti and mother of two. 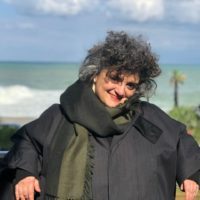 Lina Ghaibeh is an associate professor of Graphic Design, and director of the Arab Comics Initiative at AUB. 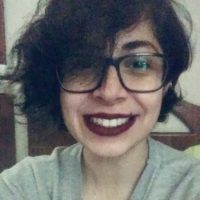 Her research focuses on Comics from the Arab world, including most recently Telling Graphic Stories of the Region: Arab Comics after the Revolution, and Women in Comics from the Arab World. 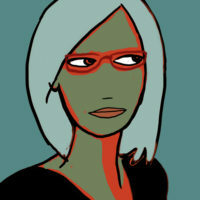 Lina is a practicing comics and animation artist, and she is an identical twin, the evil one. Niloufar Afnan holds an MA in Furniture Design from Central Saint Martins (2011). She works with different mediums and often creates useless objects. Function is not important to her because we are constantly surrounded by practicality. She seeks the spaces in between our everyday brouhaha. Her works have been exhibited at the London Design festival and Tokyo Rooms among others. She has been a faculty member at the Lebanese American University since 2013. 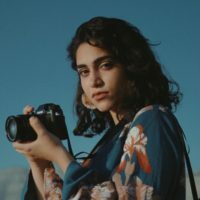 Nour Annan is a 20-year-old Lebanese-American writer, editor, photographer, artist, and full-time dilettante residing in Beirut. Sima Qunsol is a Jordanian writer who studied English literature, media studies, and creative writing at the American University of Beirut. 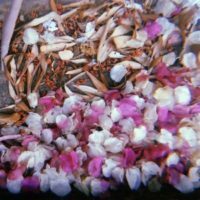 She finds small pleasures in her camera’s shutter sound, Mark Rothko’s late paintings, singing while she cooks, and writing nostalgic poetry in the shade of her mishmish tree in Amman. Nur Turkmani is a Syrian-Lebanese who grew up in between Kumasi and Tripoli. 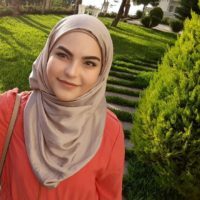 She currently works in Beirut as a researcher in economic development, gender, and informal employment. Poetry is how she both finds and makes meaning. 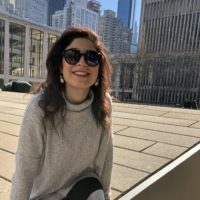 Christy Choueiri is a graduate student of English Lit at the American University of Beirut. Her interests include gender, sexuality, queerness, and disability. 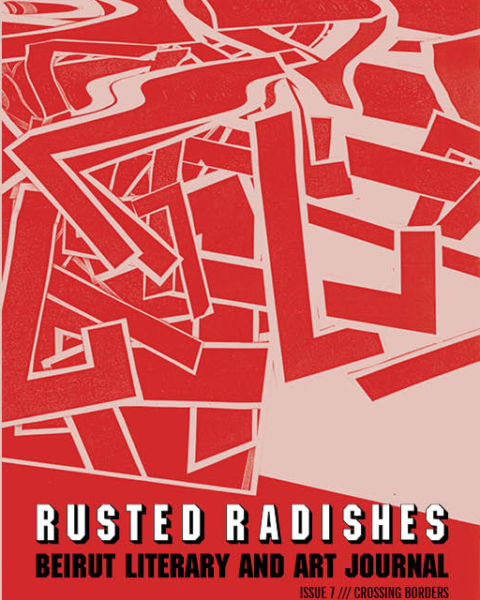 She has been with Rusted Radishes since 2014 and is grateful for an outlet for both her perfectionism and appreciation for verse and raw emotion. Zein Zaher is an industrial engineering student at AUB. He spends most of his time arguing about pop culture with friends and strangers. He has also written five films and three novels, but only in his head. Lina is fascinated by words and silences. In a parallel universe, she speaks 17 languages, has 21 degrees, and masters all the trades of Jack. In this one, she is a CEE student at AUB. She has soft spots for elephants, cinnamon, and lavender. Her favorite writing medium is pencil on tabletops. 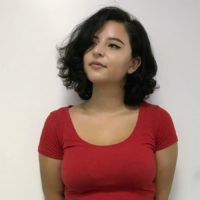 Mariam Shour is a 22-year-old writer based in Beirut, Lebanon. She graduated from the American University of Beirut with a BA in Media and Communications and a minor in Creative Writing. 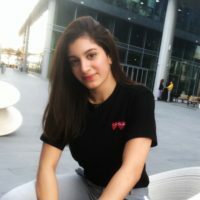 Mariam is currently an English copywriter at Leo Burnett – Procter & Gamble. Nourhane is the fiction reader at Rusted Radishes. She is on a journey of reconciliation; of bringing together the stubborn child, the restless witch and the wandering sage. 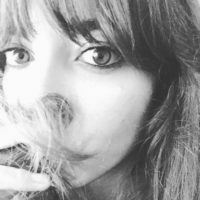 She seeks writing that is unsettling, raw and slightly mad—always in search of the truth that would bring fiction to its knees. Careen is an architecture student at AUB, graduating this year. She loves fashion, food and art in all its forms. Spot the curly hair with a colorful dress and her avocado juice? It’s her. 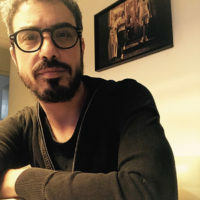 Giovanni Vimercati is a freelance critic whose work (often under the pseudonym Celluloid Liberation Front) has appeared on LA Review of Books, Film Comment, The Guardian, Cinema Scope, New Statesman, The Brooklyn Rail, The Independent, Variety, Filmmaker Magazine, Huffington Post and others. Dima Nasser is a PhD student in Comparative Literature at Brown University. She is interested in the verbal-visual interplay inherent to the Arabic letter as well as representations of undermined voices in graphic art and literature. She is a translator, editor, museum lover, and enjoys cooking to music on vinyl. 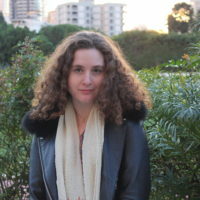 Nanor Vosgerichian is studying English Literature at the American University of Beirut. An aspiring writer, she most enjoys going to the movies, reading plays, talking about her latest TV obsessions, and dabbling with art. Her favorite mediums of expression include watercolor, photography, and dry humor. Nayla Hamze is a graphic design student at AUB. She hopes to build visual brand identities in the future. 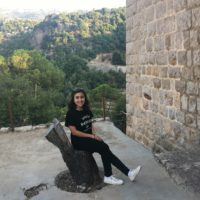 She moved to Lebanon in 2018 and is enjoying discovering the bitter-sweet chaos that is Beirut. She loves all things black, traveling, and peaky blinders. 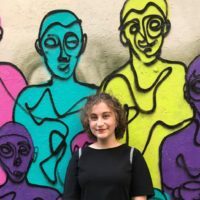 Myriam Khoury is a second year graphic design student at AUB, music lover and art history nerd. Her goal is to use the power of design to tackle social issues and (maybe) make the world a little less awful. Mohammad El Sabeh is a graphic design student at AUB. He is interested in politics, history, economics, and chess. If lost, you can regularly find Mohammad inside McDonald’s. Tala Chehayeb is a second-year student at AUB, currently studying graphic design. She loves the beach, yoga, and traveling to unusual, exotic, sunny places. 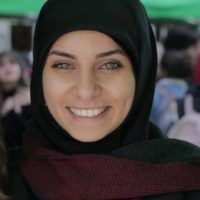 Her dream is to eventually be able to use her platform as a designer to make a change in Lebanon. 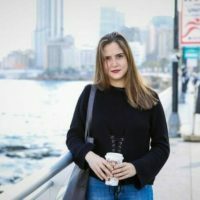 Lara El Mekkawi is a writer, editor, and instructor of English. 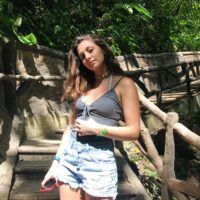 With an MA in English Literature and an interest in Cosmopolitanism and World Literature, Lara studies the complicated connotations behind being a part of the world. She currently teaches English Literature at AUB and freelances as a book editor. 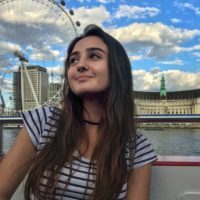 Majoring in Nutrition at the American University of Beirut and studying Arabic as a Minor. Also majoring in Cinema and Television at the Lebanese University. 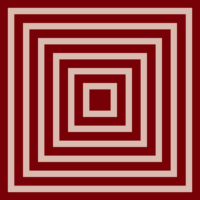 Interested in short film-making and the reading and analysis of contemporary Arabic novels. Nour Naffaa graduated with a dual degree in Business and Chemistry, yet found her calling elsewhere. 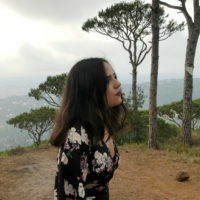 She had decided to rekindle her bygone thirst for the word, the sentence and the literary creation, and is currently pursuing a Master Degree in English Literature at the American University of Beirut. She has a consuming fascination for Music, Art, Coffee & Kindness. Christina Gemayel is an adult-in-progress 20 year old chemical engineering student who would rather read books than solve differential equations. With no impressive artistic talents, she seeks to educate herself on all forms of art. Although American literature holds a special place in her heart, she understands the need to meet new forms of writings. She also has an impressive collection of postcards that she has no clue what to do with—yet. 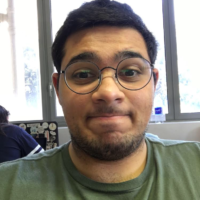 Elias Bechara is a part time cosmonaut, writer, events coordinator, and a full time English Literature master’s student at AUB. He loves the color yellow, road trips, adventures, languages, and the occasional gluten-free chocolate cake. 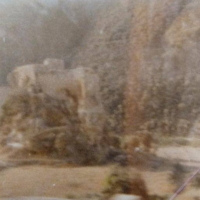 Noura Kalo studies Media and Communications, English Literature, Film and Visual Culture, and Creative Writing at AUB. 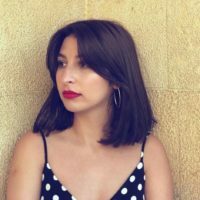 She cannot decide whether she belongs in the throws of the Lebanese literary tradition or the constant progression of Western academia, so she chooses to situate herself at the intersection of the two. Her interests have ebbed and flowed between fiction, non-fiction, and poetry. Her most recent creative obsession is event planning.